Although the school district was reluctant at first to spend large amounts of money on new African American schools, by the time the school construction program began, the county was dedicated to providing new and improved public schools. The school district hired an educational planning firm from New York City to assist in designing and expanding new schools. The construction materials and architectural design of the schools were equal between new black and white schools. 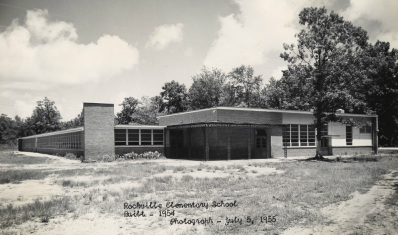 The new schools were one- or two-stories high, with flat roofs, rows of windows to allow for ventilation and light, and built of concrete and steel with brick veneer. Black schools opened with libraries, gymnasiums, and cafeterias. Teachers and students attended schools in classrooms with central heat, most for the first time. By 1953, 25 new schools were under construction in Charleston County, not including the schools in downtown Charleston. Fourteen of the new school buildings were for black students, and 11 of the schools were for white students. The county spent $4 million of their $6 million in equalization funds on African American schools. By 1955, 46 schools received money for new construction, additions, equipment, and renovations. Despite all the new construction, black and white schools in Charleston County were not equal. New libraries were not stocked with new books. New black schools, such as Laing High School, did not have athletic fields for its students. 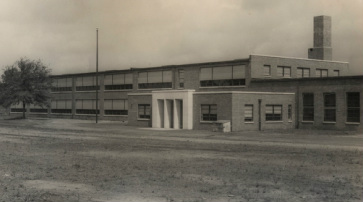 Burke Vocational High School was still overcrowded, especially after the private Avery Normal School closed in 1954, and remained the only public black high school in the city of Charleston. Teachers lacked training compared to the white teachers. School construction continued after the initial first push for equalization, but African American students and parents did not receive a desperately-needed second public school until 1962, when C.A. 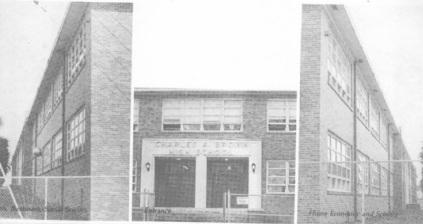 Brown High School opened on the east side of Charleston. Current photographs of all schools can be found on the Known Schools page or on Flickr.